Published: Tufa Village (Nevada): Placing the Fort Sage Drift Fence in a Larger Archaeological Context. Tufa Village (Nevada): Placing the Fort Sage Drift Fence in a Larger Archaeological Context. The Fort Sage Drift Fence is one of the largest pre-Contact rock features known in the Great Basin, and appears to date between 3700 and 1000 cal B.P. When Lori Pendleton and David Hurst Thomas (1983) first recorded the 2 km long complex, they were impressed by its sheer size and the amount of labor required to build it. 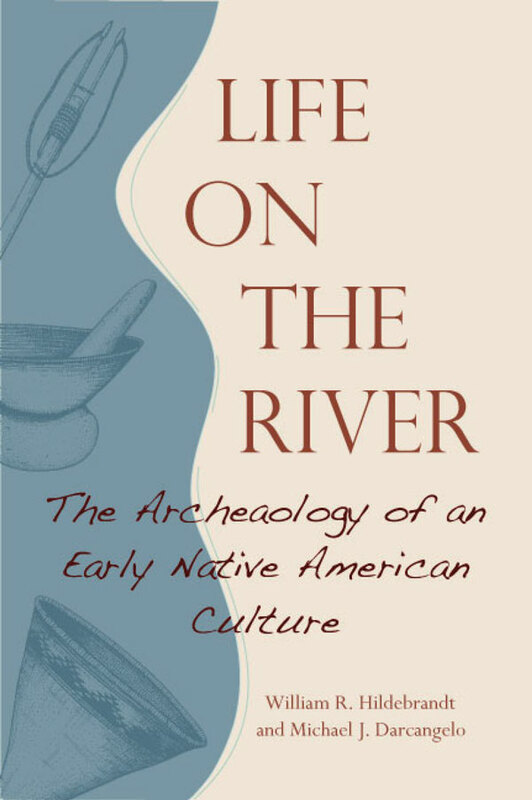 This led them to hypothesize that it must have been constructed, maintained, and used by specialized groups associated with a centralized, village-based settlement system—a system that was not recognized in the archaeological record at that time. Their hypothesis turned out to be quite insightful, as subsequent analyses of faunal remains and settlement pattern data have documented the rise of logistical hunting organization linked to higher levels of settlement stability between about 4500 and 1000 cal B.P. throughout much of the Great Basin. Although Pendleton and Thomas’ (1983) proposal has been borne out on a general, interregional level, it has never been evaluated with local archaeological data. This monograph remedies this situation through reporting the excavation findings from a nearby, contemporaneous house-pit village site. These findings allow us to place the drift fence within its larger settlement context, and provide additional archaeological support for the original Pendleton-Thomas hypothesis. Jim Carter, to whom this work is dedicated, continually encouraged our pursuits and motivated us to always consider the bigger picture. 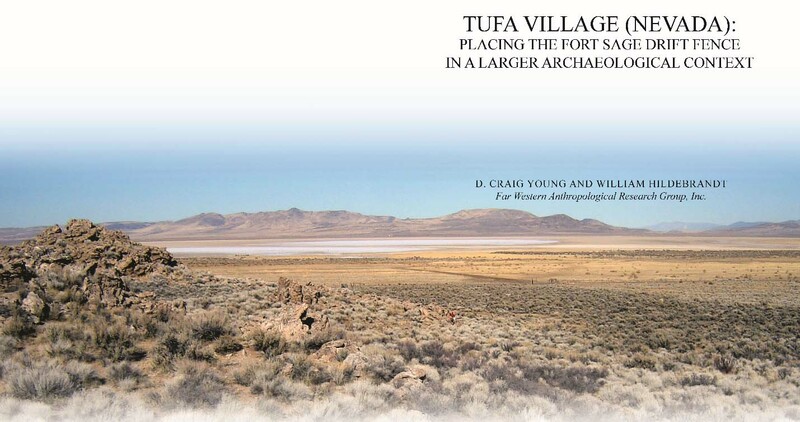 Archaeological investigations surrounding Tufa Village epitomize the nexus of responsible development, public land management, technical proficiency, scientific inquiry, and critical review that results in this concise treatise on a significant aspect of Great Basin prehistory. These connections are made possible through the hard work and cooperation of many groups and individuals. We appreciate Vidler Water Company for allowing us to work along their pipeline right-of-way; Jim Hutchins, archaeologist at Vidler, provided a great opportunity to continue our work in the region. 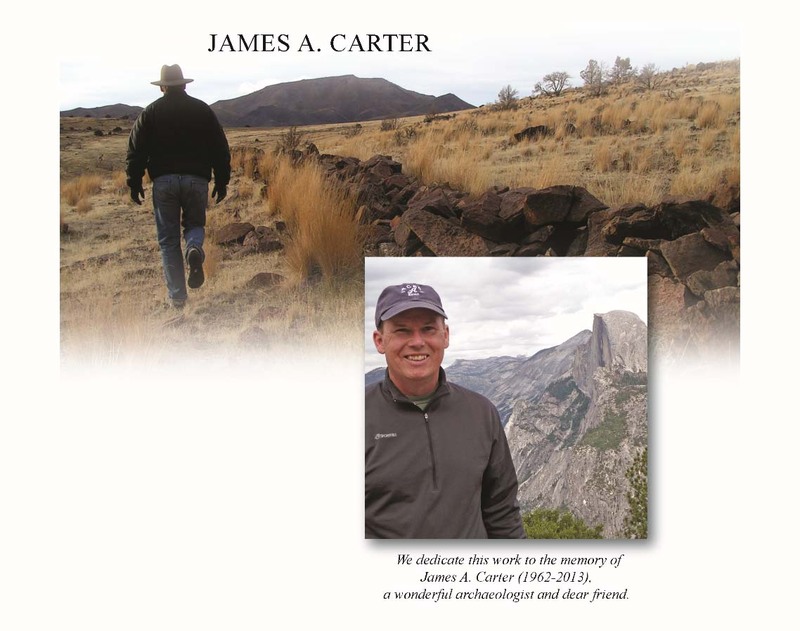 Jim Carter, to whom this work is dedicated, guided our permitting process with the Carson City Field Office of the Bureau of Land Management. Although we work in a regulatory environment, Jim continually encouraged our pursuits and motivated us to always consider the bigger picture. We similarly appreciate the assistance of Rebecca Palmer of the Nevada State Historic Preservation Office, and Gene Hattori and the Nevada State Museum, for facilitating our research plans and allowing access to previous artifact collections. Thanks also to the tribal representatives from the Reno-Sparks Indian Colony and the Washoe Tribe of Nevada and California for assisting during all phases of our project. 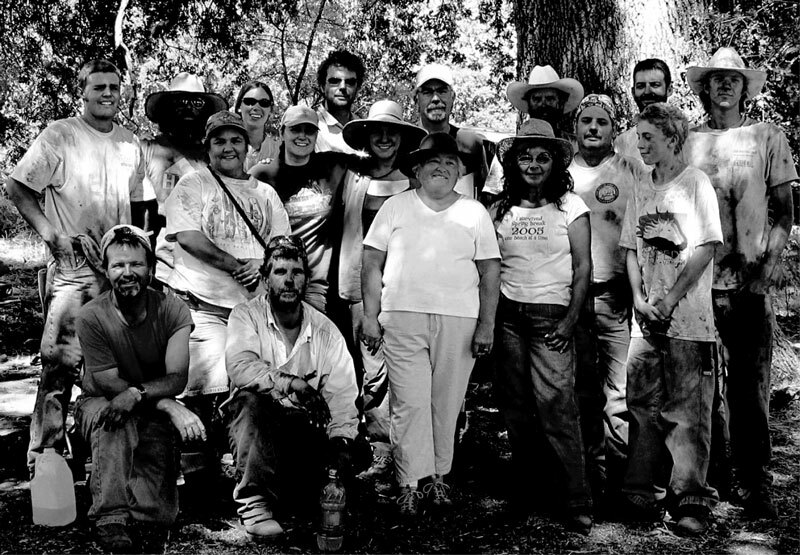 Our excavation teams included Allen McCabe, Steven Neidig, Michael Darcangelo, Sarah Rice, Jerry Tarner, Neil Puckett, Thomas Martin, Maurine Kick, Bill Leyva, Andrea Nardin, Kyle Ross, Priscilla Taylor, Kristen Revell, Anna Starkey, and Hirschel Beail. We have benefited from the technical savvy of our laboratory and analytical team of Kim Carpenter, Eric Wohlgemuth, Daron Duke, Richard Hughes, Tim Carpenter, Kaely Colligan, and Jill Eubanks. Our effort is only realized through the exceptional efforts of our graphic arts and publication team led by Nicole Birney. She relies on the talents of Tammara Norton, Kathleen Montgomery, and Michael Pardee. Kathy Davis provided editorial consistency. Special thanks go to each of you. We also appreciate the kind collaboration between Nicole and everyone at the American Museum of Natural History. 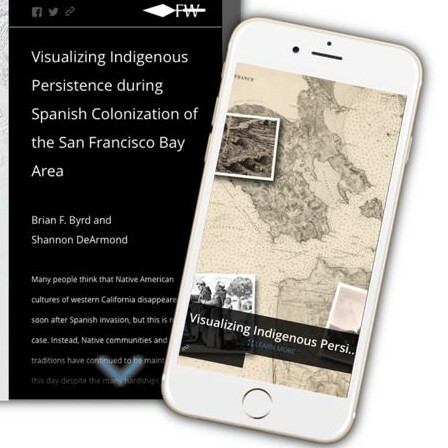 The Anthropological Papers is a monograph series that has been publishing important anthropological and archaeological studies for over 100 years, continuously since 1907. The series focuses on large-scale studies with national and international significance, geared toward a professional, scientific audience. It is distributed to every significant research library in the country, and many international facilities as well. In one of the most prestigious outlets in the world, the publication demonstrates Far Western’s world-class research. The Anthropological Papers allows Far Western to reach a very large audience—an audience which wouldn’t be reached otherwise. 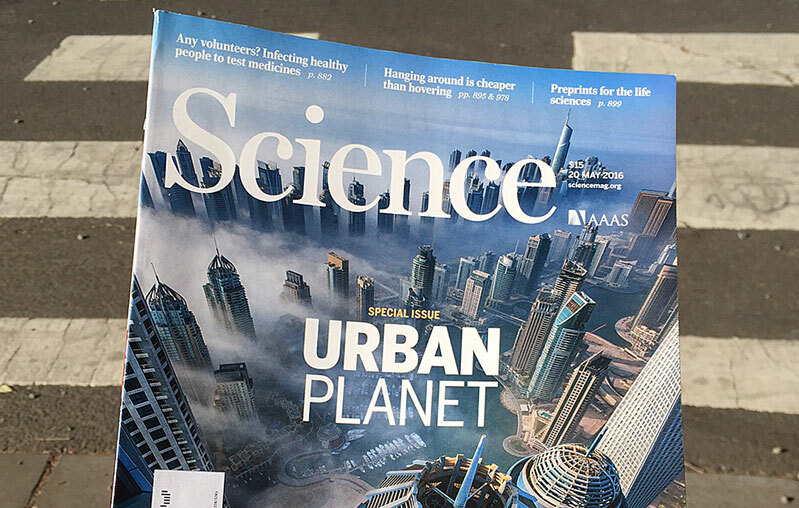 Science magazine (sciencemag.org) consulted our Principal Investigator, Brian F. Byrd, PhD, for the special issue “Urban Planet.” Greg Miller, in his article Roots of the Urban Mind, spoke with Byrd about Dunbar’s view that living in groups larger than 150 or so exceeded the number of significant social relationships an individual can maintain, and caused psychological stresses that needed to be overcome. 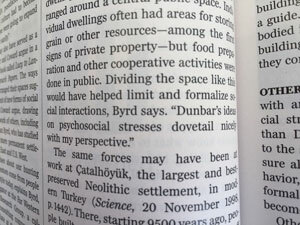 Byrd found support for Dunbar’s perspective in his studies of the transition to settled village life in the Near East and California. For example, Byrd’s work at early Neolithic Beidha in Jordan revealed the shift to larger agricultural communities involved architectural changes that created private household space separate from public and communal space. 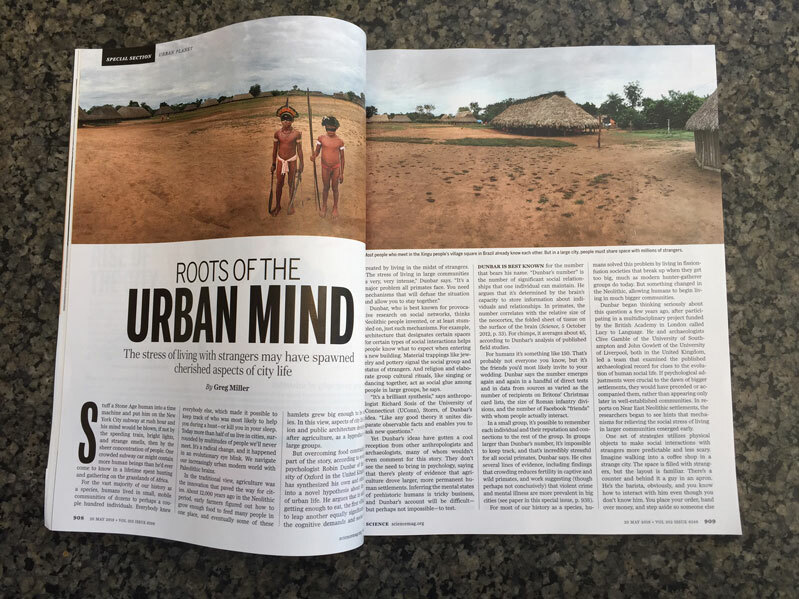 These insights support Miller’s view that early social innovations laid the foundation for modern urban cities and highlight Far Western’s contributions to anthropology in Science. Check out the full article in Science 352(6288):908—911, and see more of Byrd’s research by connecting with him on ResearchGate.com. In the late 1960s and early 1970s, the California Division of Highways carried out three highway realignment projects in Cuyama Valley, San Luis Obispo and Santa Barbara counties. Salvage archaeological work was conducted at seven sites, but the resulting extensive collections were never formally catalogued or documented. Some 40 years later, the California Department of Transportation awarded Far Western a Transportation Enhancement grant to analyze and document the Cuyama Valley archaeological collections. The result is entitled Cuyama Valley – A Corridor to the Past. 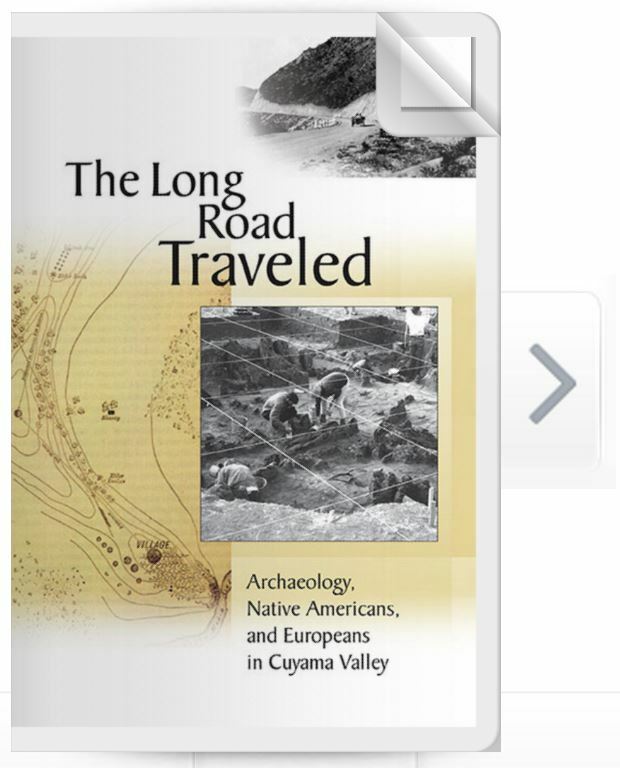 The Cuyama Valley story is also presented in a booklet for the public called The Long Road Traveled by Patricia Mikkelsen, Paula Juelke Carr, Shelly Tiley, Julia Costello, Nathan Stevens, and John R. Johnson. Read it HERE! We created a 3D gallery as part of the digital booklet. 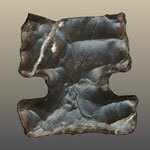 Spin and view the 3D Visualization Gallery HERE! This publication honors Dr. Valerie Levulett, who initiated the Cuyama Valley project. She was instrumental in ensuring that the gathered information be made available to researchers and the public alike. 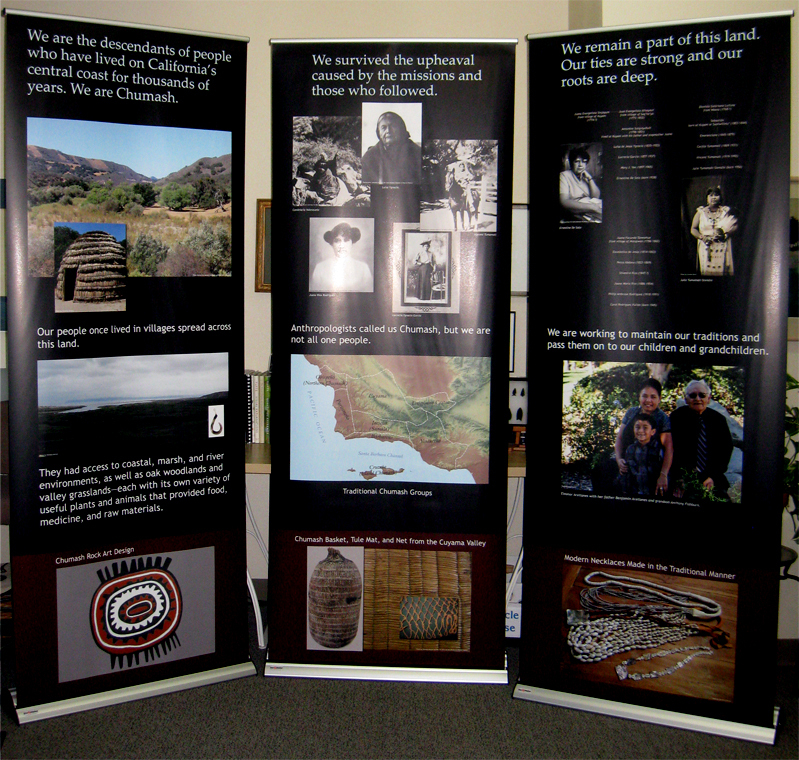 Far Western also designed and fabricated two sets of portable exhibits and a set of four bookmarks to be used by members of the Chumash Indian community. This project was a collaborative partnership among the Native American community, the District 5 Central Coast Specialist Branch of the California Department of Transportation, Far Western, the Santa Barbara Museum of Natural History, Foothill Resources, and Tiley Research, among others. We thank the many individuals who contributed their talents to this project, and particularly want to recognize the Native Americans with ties to Cuyama Valley who generously shared their time and stories with us. We also wish to acknowledge the generous support of the California Transportation Commission, who made it possible to complete the proper processing and curation of the Cuyama archaeological collection. This study has opened up new and important vistas on the prehistory and early history of the Cuyama Valley corridor.